Sanford Health was not pleased with the design ideas coming from their large corporate architect and design team, so MSH Architects was asked to redesign the lobby and waiting areas for Sanford’s new surgical center. 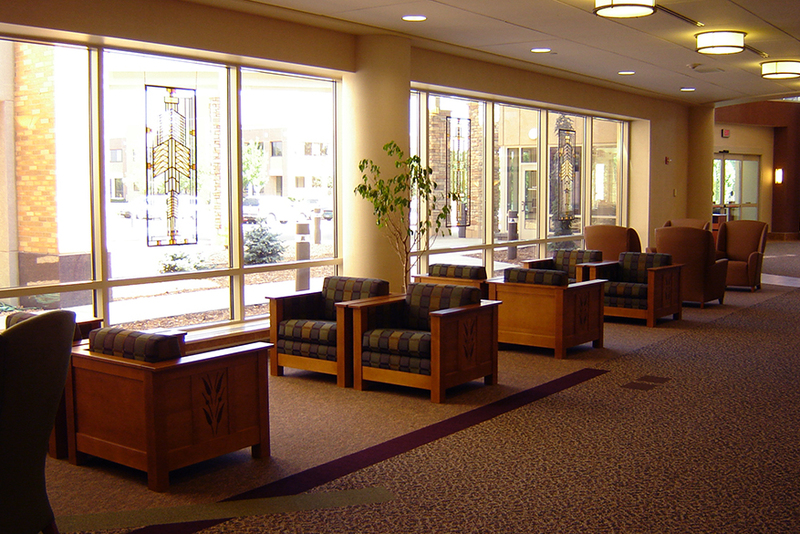 Patients and guests are greeted by a bright, airy space at the main floor welcome center. Surrounded by warm colors, rich woods, and decorative tile accents, a towering stacked stone wall and large columns support Native American artwork above the lobby. MSH also designed custom bronze and alabaster light fixtures for the ceiling and sconces along the corridor. While patients are in surgery, family members are invited to take advantage of the spacious guest center. This area is designed to be comfortable and open, with semi-private sectioned seating areas to accommodate families of various sizes. 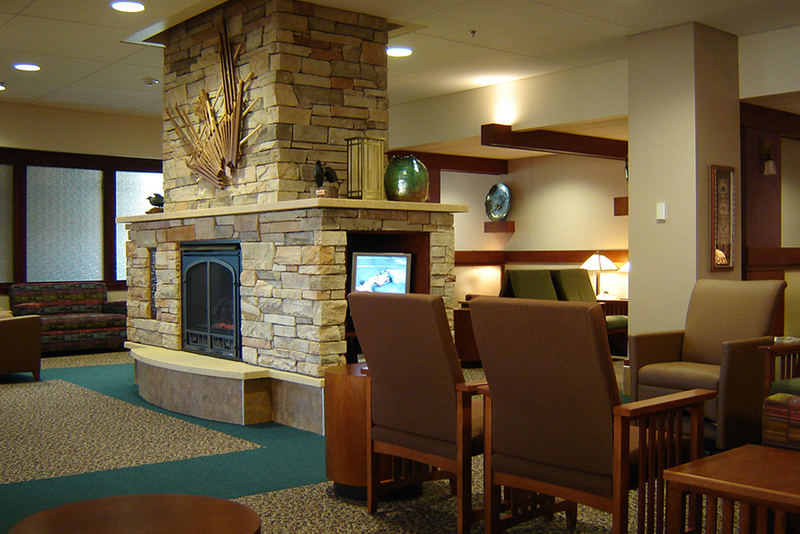 Fireplaces, a special children’s play area, televisions, computer access, and a hospitality center contribute to patient and family comfort. © MSH Architects. All rights reserved 2019.